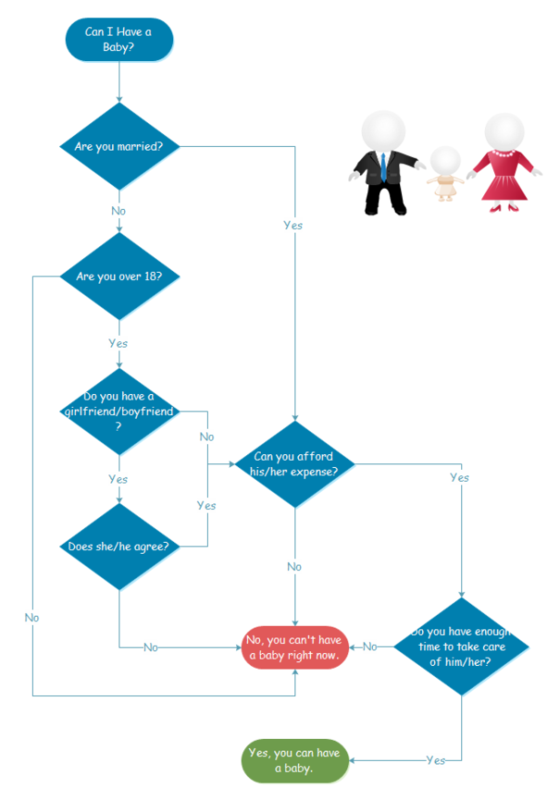 Funny Flowchart Example - Can I Have a Baby Now? A funny flowchart shows whether one should have a baby or not. It's not serious, but intends to help users understand flowchart better in an easy way. Can I Have a Baby Now? It helps you break down the stereotype of traditional flowchart and increase your creativity. Click here to view more funny flowcharts.